From the Gage collection of the Michael Kors Gents timepiece range. This aeronautically inspired stainless steel chronograph watch on a leather strap is ideal for any man who lives the jet set lifestyle. 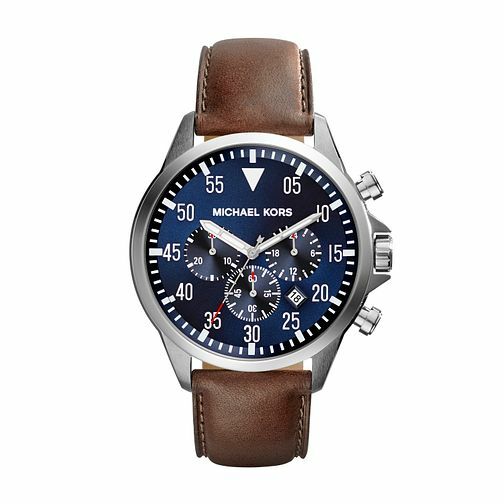 Michael Kors Men's Stainless Steel Leather Strap Watch is rated 5.0 out of 5 by 1. Rated 5 out of 5 by Anonymous from Great value I bought this watch in Bloomingdales, NYC. Very flash. I love it. Goes with all attire, smart or dress down.